Cesar José Ríos Ramos (Barcelona, Venezuela March 2, 1990) - Dj / Electronic music producer.His father, Cesar Ríos, Italo-Venezuelan born in Santa Inés, Anzoátegui and his mother, Gledys Ramos de Bergantín.He was brought up in an environment of llanera music, haciendas, harvests and in the midst of artists and DJs who in those days used to tour the villages to celebrate the patron saint's festivities.With the dream of becoming a Venezuelan big league baseball player, he belonged to several baseball teams, Criollitos League of Venezuela.At age 12, due to a disappointment with a very famous baseball school in Puerto la Cruz and thanks to his mother's advice to encourage him, Cesar began to listen to his ears in the music mixed by the Dj's.He spent most of his adolescence trying to create sounds for a musical production. As time goes by, Cesar continues to search for the right software to create his own musical styles.In 2008 he got it and began to create his first tracks although he still needs to learn a lot more about styles and genres. 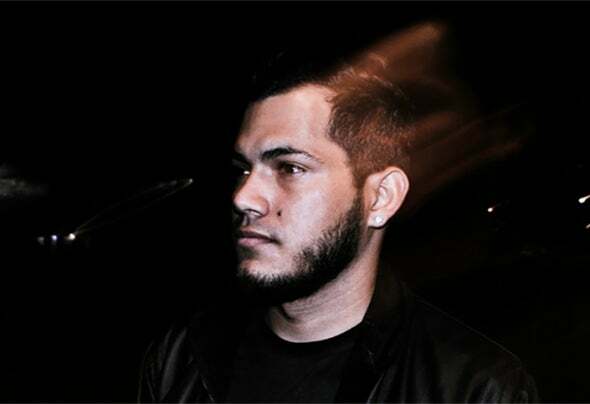 In order to increase his professional experiences, he worked in Am and Fm radios in the Barcelona area (Vnzla).In 2013, the group of Dj's Astazo from Puerto la Cruz invited him to an event organized in the city and from that moment on, he works hand in hand with them.October of 2016, Cesar graduated in Audiovisual Sciences and photography, but it was not until 2017 when he decided to live in the city of Bogotá, Colombia.In that city he worked as a consultant for the Native Intruments brand and also with the Professional Focal brand. He is currently an advisor to the company Super Audio; In charge of establishing the relations between the academies of Djs throughout Bogota and the company.